A week after my adventure to fix my requirements in the university, I was back earlier to get some of the papers that require shorter waiting time. According to the OUR, my Transcript of Records won’t be due until the 29th and I can’t do anything but trust and hope that they will release it on the said date. I desperately need my TOR on the 31st. I first went to the Shopping Center to have one of my classmate’s book photocopied, then I took the TOKI jeep to the Registrar. I was really hesitant because I have no idea how the route would be, and the last time I have taken this jeepney during my undergrad, I was made to walk from Mathematics to FC because the driver told everyone that it was his last stop. I was forever traumatized. LOL Anyway, I reached the Registrar to claim the Certified True Copy of my undergraduate diploma. 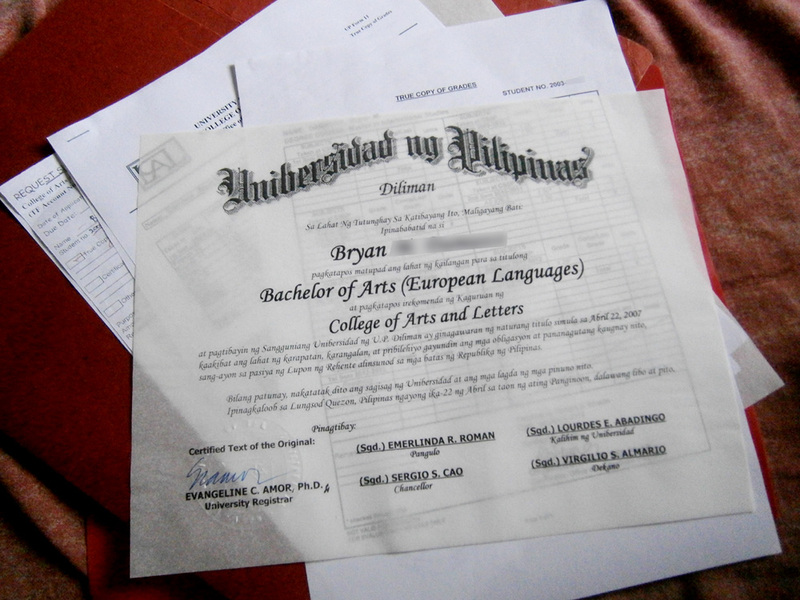 I must admit, I was expecting that it would be just a photocopy of my diploma in a bond paper, but I did not know they will be using the same fancy paper as the original one. The only difference was the university seal. In lieu of the foil material bearing the seal in the lower left-hand corner, the CTC just had a dry seal indicating that it was a “Certified text of the original”. I also got my True Copy of Grades from CAL and CSSP, just in case. 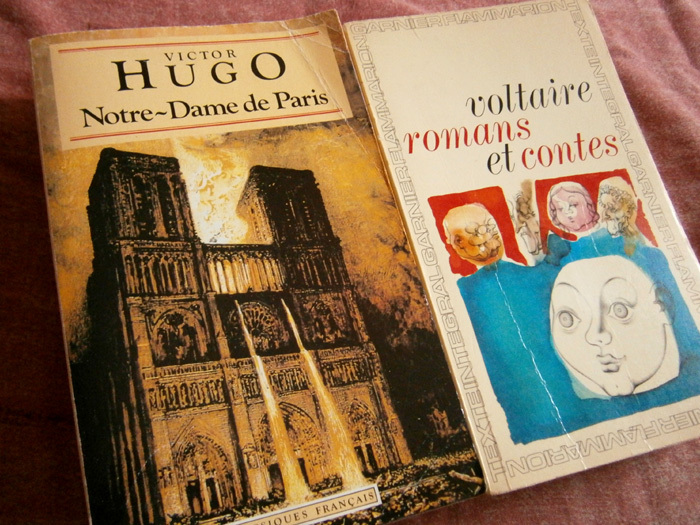 Upon seeing Victor Hugo’s Notre Dame de Paris, I suddenly remembered my classmate who made a thesis around the book. She was having a hard time with the book because it was admittedly a handful to read even in English, and to do it in the native language that it was written was way harder. The other one was Voltaire: Romans et Contes, which was far easier to digest in the manner that it contains shorter stories, compared to Hugo’s. 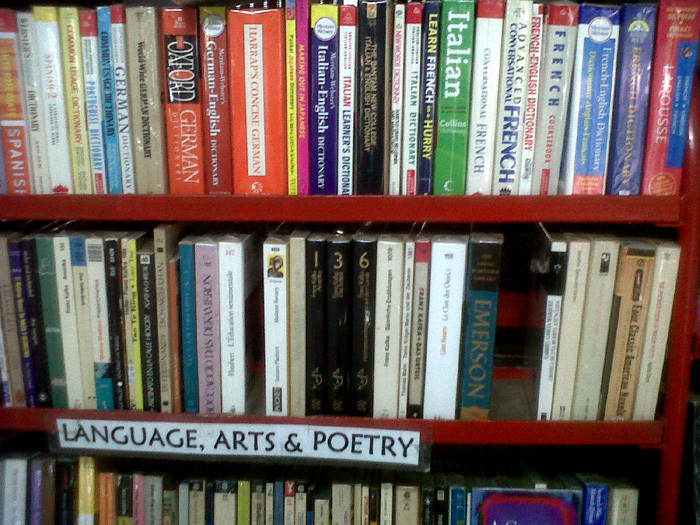 The best thing about these books, they only cost Php 120 each. I think I had a great bargain. Two days ago, I expressed my desire to buy more cotton shirts for the upcoming summer season and I had unexpectedly begun earlier. On my way to work from school, I decided on a whim to kill time and challenge myself to look for interesting finds in the big Ukay complex in Cubao. Tomorrow, I will be returning to UP Shopping Center to get the ‘original’ book (as it was also a photocopied book) and hopefully return it to Tin. =D We will also be watching Ang Lee’s The Life of Pi tomorrow in Trinoma after eating dinner in Mashitta. I also wanted to watch Kathryn Bigelow’s Zero Dark Thirty but maybe we can have room for that next weekend. Of course, I’m also most excited on the 16th — Les Misérables will be finally screened here in Manila!